This year has been dominated by the launch of state-of-the-art sportsbikes, bringing much interest to what was a flagging sector of the market. 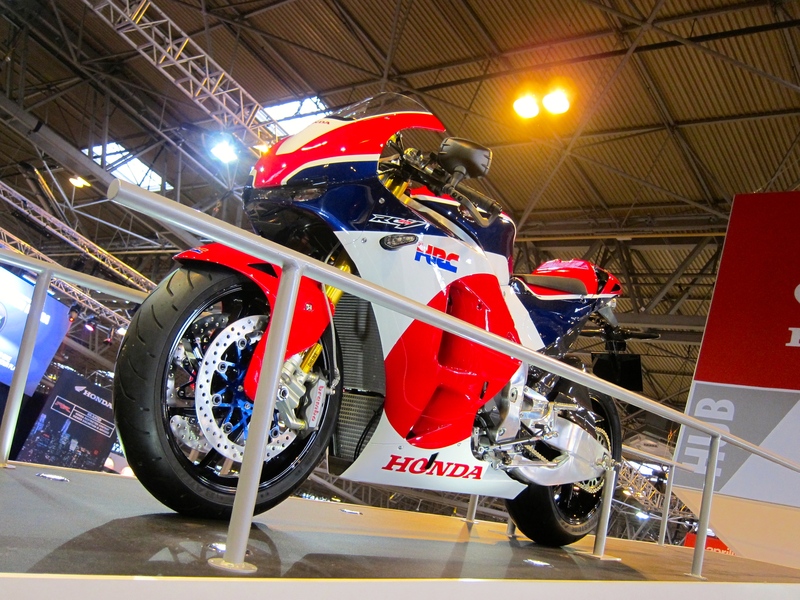 Our Bike of the Year was going to be the Honda RC213V-S – essentially a MotoGP bike with lights on. It features a 90-degree V4 producing some 210bhp and the chassis, swingarm, wheels, suspension, crankcases, fuel tank, tank cover, throttle bodies and seat unit from the Honda Factory bikes that Marc Marquez and Dani Pedrosa race. In the flesh it looks stunning, especially with the lush paintwork on the carbon bodywork, but it’s far from finished. The mirrors and switchgear have clearly been raided from the spare parts bin, the dash was just a sticker and it’s rumoured it will cost more than £200,000 if it ever enters production. 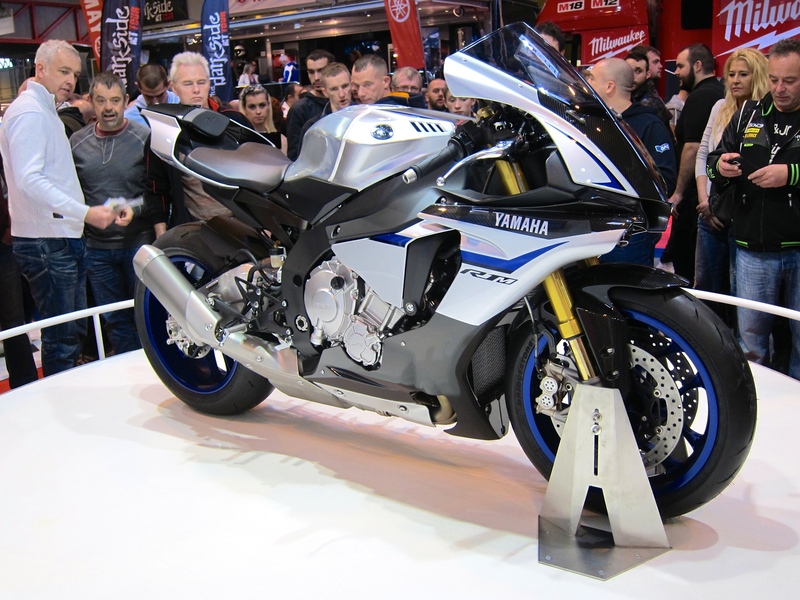 So, the Bike of the Year award goes to another Japanese sportsbikes instead, one that is more attainable, is just as gorgeous in the metal and drew the biggest crowds at Motorcycle Live – no, it’s not Kawasaki’s 300 bhp H2R, it’s Yamaha’s YZF-R1. 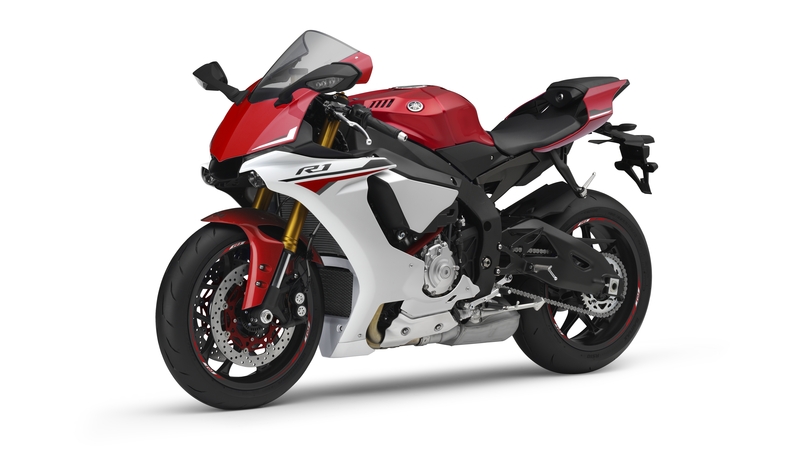 The new R1 has been inspired by the YZF-M1 and it shows – it produces 197bhp, weighs just 199kg fully fuelled and boasts a state-of-the art electronics package that uses 92 per cent of the factory’s MotoGP electronics as used on Rossi’s and Lorenzo’s race bikes – it has the first ever six-axis Intertial Measurement Unit on a production bike, banking sensitive traction control, slide control, wheelie control, quick shifter, launch control, ABS and a unified braking system. Other eye-catching features include a trick TFT dash, 10-spoke magnesium wheels, all-new KYB suspension, a titanium exhaust system, an aluminium fuel tank and Deltabox frame. The bike is powered by a 998cc inline four cylinder crossplane crankshaft engine kicking out some 197bhp without the use of ram induction. The crossplane engine’s uneven 270° – 180° – 90° – 180° firing sequence gives each piston and conrod its own individual and separate movement to create stronger low to mid range grunt. The engine is fitted with titanium fracture-split connecting rods, which is 40% lighter than steel, and this major reduction in weight gives the new engine an extremely responsive and potent character at high revs. The bike looks beautifully finished and the attention to detail is exquisite. The controversial styling, maligned by many when the bike was launched, look good in the metal and give the bike a purposeful, menacing and distinctive look. The masses at the NEC agreed, with crowds six-deep gathering to gain a glimpse at this new icon.